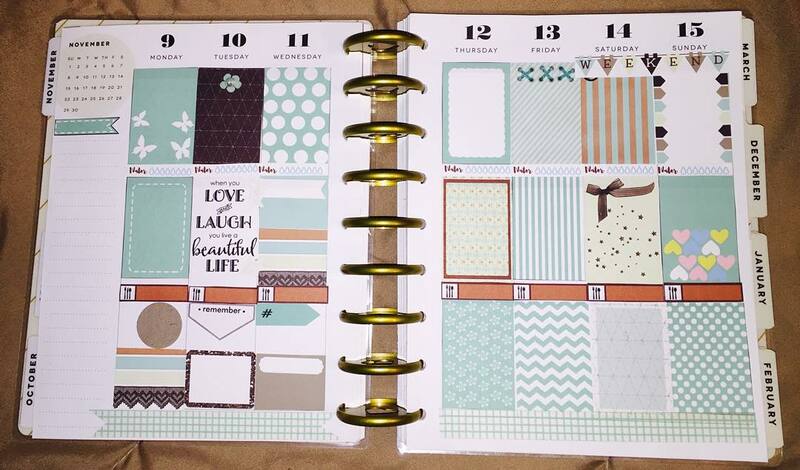 So today I made some Free Printable Planner Stickers in Marshmallow Colors on the request of my facebook group member and friend Francesca Loverio. 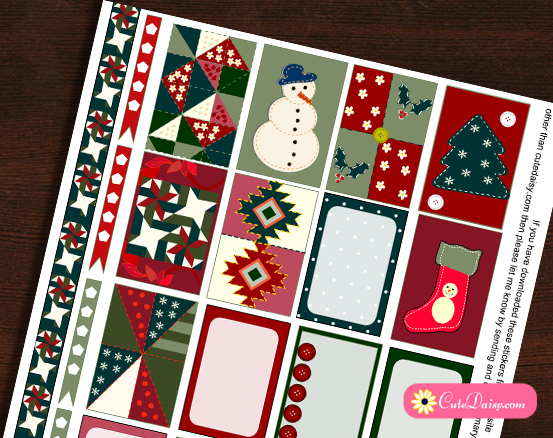 These are beautiful stickers in nice pastel or marshmallow colors. I have made three sets which are in Pink, Blue and Green Colors. These are adorable stickers in marshmallow green or pastel green color decorated with different patterns. 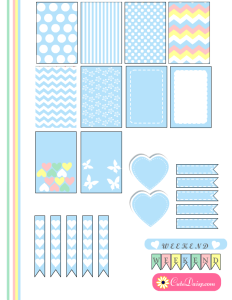 I have also added a free printable matching washi tape with each set of these stickers. 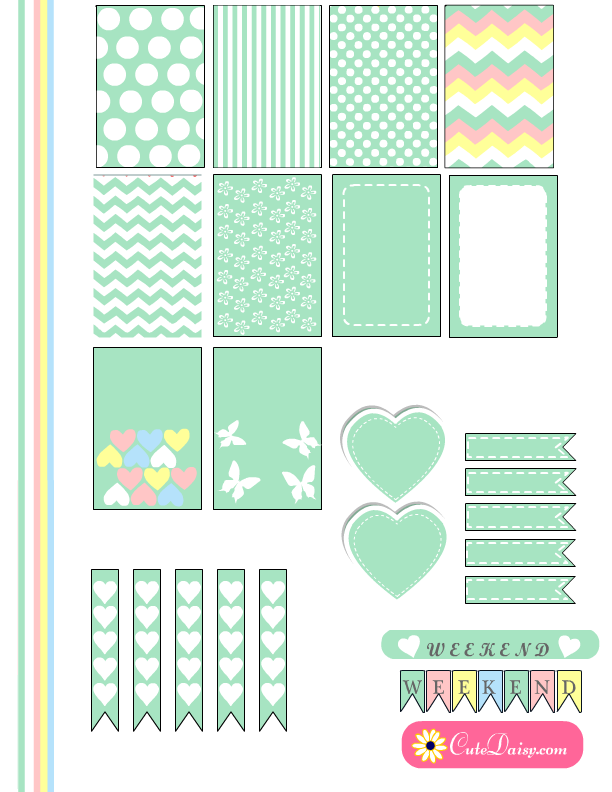 In this set I have added 10 boxes and two cute weekend stickers. 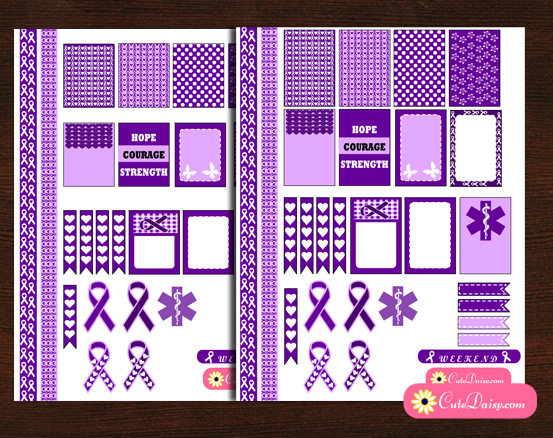 To download PDF file of these stickers for Happy Planner click here and to download these for Erin Condren click here. This is another set of these adorable sticker in pastel pink or marshmallow pink color. To download these stickers for happy planner click here and for Erin Condren click here. Here is another set in a beautiful pastel blue or marshmallow blue color decorated with polka dots, chevron pattern, flowers and butterflies. 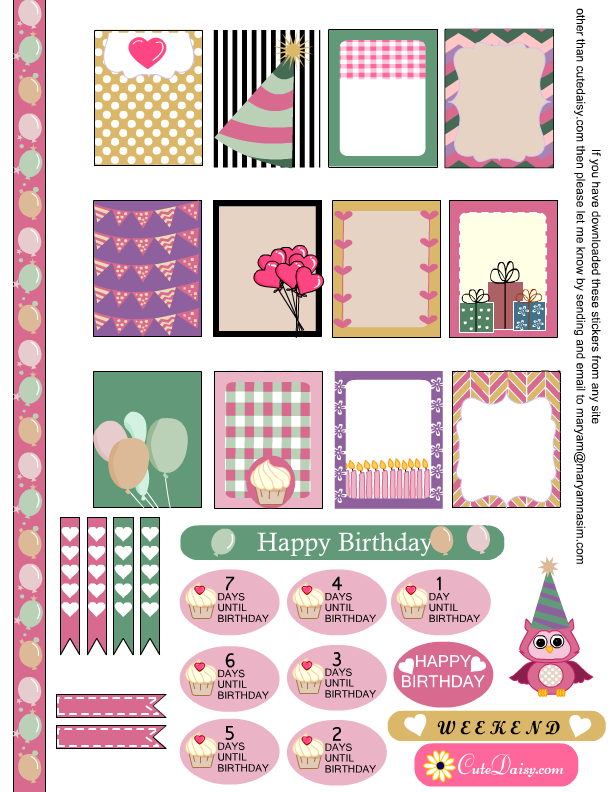 Click here to download this file for Happy Planner and click here to download these for Erin Condren. Oh my goodness these are so gorgeous….. I see Spring layouts with these for sure. Thank you ❤ and I didn’t think about spring while making these but you are right, with butterflies and flowers these will look great in spring layouts. Love these soft colors! Thank you very much! Thank you for taking these !!!! Love them! Again!! You and your cute sticker printables make me smile every day!! Thank you for giving these to us!!! Thank you! What sticker paper do you use for printing? Any sticker paper in US letter size, like Avery sticker label sheet or you can also print these on plain paper and decorate your planner with the help of a glue stick. to putting this type of coordinated stickers on my pages. Thanks so much!! Hi! Thank you for sharing it to us. I just want to ask if i still need to adjust the size/scale if i will print it on an A4 size paper or i can print it right away. Thanks. On A4, you can print these right away I think. Try printing first in economy mode or black and white first but I think it will fit but do not scale it to fit to the page. Print it in actual size.